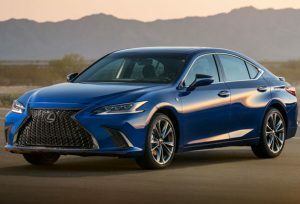 2019 Lexus ES Debuts with Wing Mirror Cameras! The 2019 Lexus ES 2019 will keep the knotted spindle grille, and it’s shaping up to be a quite a looker. 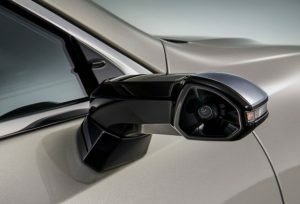 Lexus also claims that it will debut with the world’s first production ready wing mirror cameras. But here’s the catch. If you were hoping for a Lexus ES car for sale, you would be disappointed! The digital side cameras are only available in Japan as of yet. Looks like Dubai’ans will have to wait a while. But that still can’t stop us from drooling about this feature, right? First of all, this isn’t really a new idea. Audi explored it with the E-tron and Volkswagen with the XL1, but this is the first one that has made it to production on a real car. The car is allegedly going to have small, rectangular wing-mirror cameras in place of traditional side mirrors that will transfer the images and videos to the 5 inch-display monitors. So, in “hindsight”, you wouldn’t have to look anywhere else. 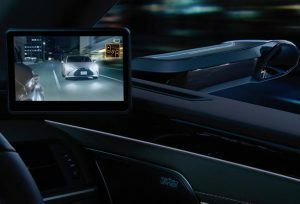 Lexus claims that the advantage of the digital system is that it is designed to resist the bombardment of rain and snow that could block the driver’s view. The system also automatically amplifies the corresponding areas when the turn signals are activated or when the transmission is geared into reverse. The area views can be manually enhanced by the driver to give a complete peripheral view around the car. By reducing the size of the wing mirror with the cameras, the front window visibility is greatly improved. Wind noise has also been dialed down, resulting in a noiseless cabin. Oh! We wish this car for sale was in Dubai! And yes, this is only in Japan as of yet. The biggest worry is getting the drivers to adapt to the technology. It’s always more convenient to tweak, trim and twist the technology, but it is more difficult getting the driver of today to adapt to it. For now, though, the wing mirror camera Lexus car for sale is only going to be in Japan. Whether the feature is a hit or a miss, we’ll leave that up to you! 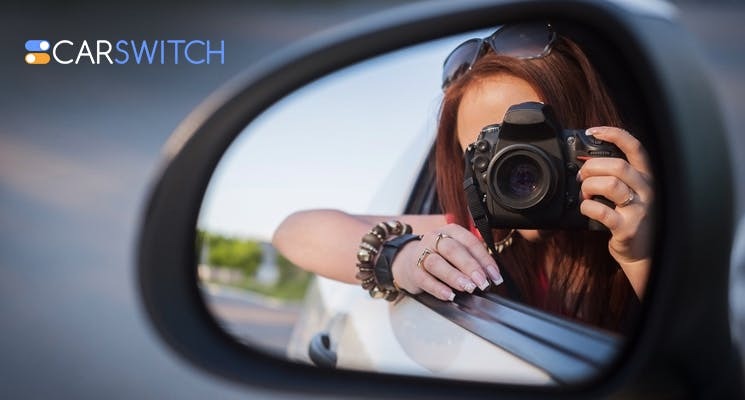 There are however many hit certified and warrantied cars for sale on CarSwitch.com! Be sure to check them out! The Evolution of the Honda Civic from the 1970s to the Present! For quite a while now, the humble Honda Civic has been a very popular car. Affordable,. 5 Hacks for Car Owners That Are Worth a Try! Messy headlights, a bad smell in the car, or the scorching summer heat, hacks to overcome. Mclaren’s Senna Versus Lamborghini’s Aventador SVJ: Who is the Ring Leader? According to the makers of Mclaren’s Senna, it's like taking a small cell of Mclaren's essence.